More than any other medium, television is suited for making changes on the fly. Any number of adjustments can occur between the episodes and seasons of a TV series—roles are re-cast; faces in the writers’ room change; new showrunners step in—and the series that last are those that both roll with the changes and make those changes barely noticeable. As the man behind many of the most memorable Muppet designs, Don Sahlin perfected what is now known as “the Henson stitch,” a method of affixing the cloth to the surface of a puppet that makes the seams almost invisible. That’s “almost” because you can still spot the Henson stitch from certain angles—the seam up the middle of Kermit The Frog’s head, for instance, or the one between Ernie’s eyes. Like the most skillfully deployed alterations to a TV show, they’re there, but only if you look closely. In the first two episodes of The Muppet Show’s second season, Henson stitches abound—on the characters and the show alike. 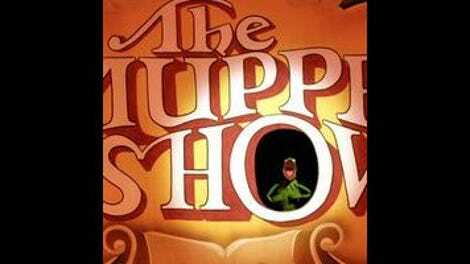 This second season is the first of what most viewers will remember The Muppet Show as: cold opens in the guest star’s dressing room; the theme song sung by the whole cast (rather than a pair of shakily performed chorus lines); a greater emphasis on backstage action and the relationships between the core cast of characters. These changes are seamlessly integrated into the proceedings, the only ragged edges showing in spots where newly minted head writer Jerry Juhl calls attention to the changes—like the “At The Dance” sequence in Episode 202, where all the punchlines relate to tennis. But even in those spots, the series remains a joy to watch, like a tadpole becoming a frog before our very eyes—then donning a wig and a mask and being pummeled a refugee from G.L.O.W. (in this instance, the Geriatric Ladies of Wrestling). “With our special guest star”: Former Andy Griffith Show star and future Three’s Company landlord Don Knotts does his best “nervous bundle of limbs” schtick as the first guest star of The Muppet Show’s second season. (In terms of production order, that is—for most television markets, the George Burns episode opened season two.) Knotts ends the episode by dropping the line “Square is beautiful,” a fitting motto for the gawky comic actor—as well as the characters playing host to his offscreen pratfalls and onscreen mugging. It’s especially appropriate given that Knotts spends most of his limited screentime trying to prove to the members of The Electric Mayhem that he’s not a square, an affectation that only sets up this Muppet of a man to fail mightily—and hilariously—during his closing number. “The most sensational, inspirational, celebrational”: Knotts mixes well with The Muppets, but he’s just as good here on his own. Take, for example, “Beast Of The Week,” a kids’ show parody where Knotts makes like a hapless Jack Hanna and tangles with the tribble-like offspring of Mean Mama. There’s some well-staged puppetry that allows the little furball to break out of its cage and climb all over Knotts, but the actor does a terrific job of holding up his end of the sketch. It helps that few do a reaction shot as well as Knotts, but he’s also surprisingly adept at making the subject of the sketch look alive while it’s in his hands. “It’s like a kind of torture to have to watch the show”: The Muppet Show is changing, but it’s still a product of its genre and time, as displayed by this episode’s opening number, “Sweet Gingerbread Man.” Not particularly funny or visually engaging, it’s a segment that leans too heavily on its non-puppet choreography, performed by dancers in full-body gingerbread men costumes. When the focus turns to the dancers exclusively, you may as well be watching one of Sid and Marty Krofft’s ill-advised attempts at breaking into primetime. “It’s time to play the music”: In a display that suggests Juhl and the writers sough stronger thematic cores for second-season episodes, Episode 201 features a pair of songs partially credited to George David Weiss: “What A Wonderful World” and the climactic “Lullaby Of Birdland.” “What A Wonderful World” is a weirdly sleepy feature spot for Rowlf (his sings the optimistic standard to a sleeping puppy that’s almost certainly been dosed with some sort of sedative), while “Lullaby Of Birdland” hits The Muppet Show’s “successful flop” sweet spot, as Knotts literally burns through his self-appointed hipness, one horrible bass lick at a time. “It’s time to raise the curtain”: The Swedish Chef’s deep mixing bowl provides ample opportunity (and visual space) for the ingredients of his “fishy chowder” to fight back. Most notably the main ingredient, which either has a doppelgänger waiting for it in the bowl, or is slipped on the hand of its puppeteer in a sly, slick bit of editing. “It’s time to meet The Muppets”: Knotts’ arc dovetails with Fozzie’s, as the bear abuses (and is abused by) his newfound cachet with The Electric Mayhem. The “blinded by sunglasses” gags are stretched beyond plausibility (though the first one provides big laughs thanks to the gusto with which Frank Oz slams Fozzie into the wall), but there’s a sharpness to the way the band’s approval goes to the bear’s head. When your audience typically despises you, you’ll eat up acclaim from whoever gives it—even if you can’t see them. “It all ends in one of two ways”: Knotts apparently doesn’t know how to fret a double bass, but there’s at least one flash of brilliance in his “Lullaby Of Birdland” performance—a flash that burns up his zoot suit along with his credibility. “The most sensational, inspirational, celebrational”: Frank Oz absolutely kills as Sam The Eagle in Episode 202, in both momentary reactions (his “What?” to the announcement that The Electric Mayhem are jamming on Chopin is a spectacular one-word punchline) and longer exchanges with Kermit and Mostel. Add Sam and Kermit to the list of underrated Frank Oz-Jim Henson pairings—they make great foils, especially when Kermit tries to sneak the ownership-mandated “lady wrestlers” segment past the show’s de facto censor. “It’s like a kind of torture to have to watch the show”: Unfortunately, for all the buildup that’s put into the lady wrestlers bit, the actual segment is ends in a deflatingly quick fashion. It’s a gag whose setup is worth more than its punchline, so maybe it should’ve ended even quicker—the sooner Miss Piggy gets into the ring, the sooner J.P. Grosse can be proven wrong about what does and does not work on The Muppet Show. “It’s time to play the music”: Mostel’s Broadway chops get a scenery-chewing workout in the Lerner and Loewe number “What Do Simple Folk Do?,” a big, broad musical segment that doesn’t leave much time for other songs with Mostel. The way the guest tears into his between-verse singing and dancing fits, the song choice is negligible—it’s more an excuse to let Mostel ham it up in Henry VIII drag, though he does have a sparkling dynamic with Muppy and The Queen. “It’s time to raise the curtain”: In a similar display of sleight of hand, the episode’s final two musical segments are stealth showcases for Don Sahlin’s special effects. Zoot and Rowlf’s smooth take on “Smoke Gets In Your Eyes” gets combustible in an evenly heightened manner—the smoke that pours out of Zoot’s sax is rationed out perfectly—while Animal’s drum solo goes up in flames in half the time. Keith Moon may have been one of Animal’s main inspirations, but it should be noted that Moon had to provide his own pyrotechnics to get the reaction Animal achieves here. “It’s time to meet The Muppets”: In a perfect match for Beaker’s natural (and entirely earned) skittishness, the character’s first Muppet Labs appearance plays things low-key—compared to the regular torture we’ll watch him undergo in later episodes, that is. After being beaten by what the sketch implies isn’t the first steel rabbit, the only place we can go from here is (blowing) up. “It all ends in one of two ways”: Before Mostel can become a Muppet monster, he must become a Muppet monster’s lunch in the cold open. (“I’m not in my dressing room eating,” he bellows over Behemoth’s slobbering. “I’m in my dressing room being eaten!”) Later, “At The Dance” enters a brave new world of jokes with a single thematic tie, but it finishes with a tried-and-true exclamation point: A pun that summons Crazy Harry.